As I was building a patio swing and against the task to correctly space several pieces of wood exactly the same width, I quickly realized that I didn’t currently have a way to effectively reproduce the same results/width every time. I obviously quickly ran to Home Depot to find perhaps some pre-cut shims that would help me space the project. I found many traditional shim options but nothing that really fit the bill – nothing that I felt was worth spending money on. After doing some searching, I quickly found Fastcap, an innovative woodworking tool shop and the manufacturer of Mag Shims. Mag Shims are magnetic spacers cut in 1/8” slices that enable you to combine as many as you’d like to fit your desired width. The best part about Mag Shims is that easily store on anything metal so they’re always there when I need them. You also get two 1/16” slices which can also be used together with the 1/8” slices. 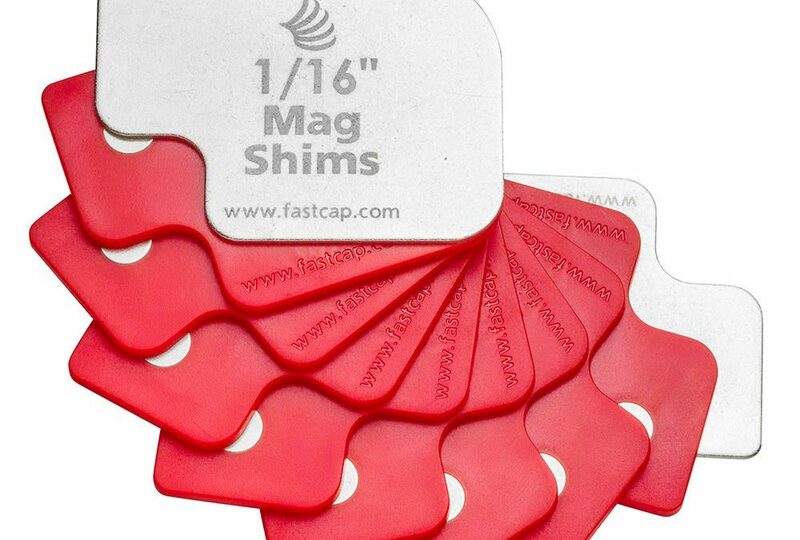 Toss the old wood shims out and replace them with a set or two of mag shims – buy them from Fast Cap for $25.